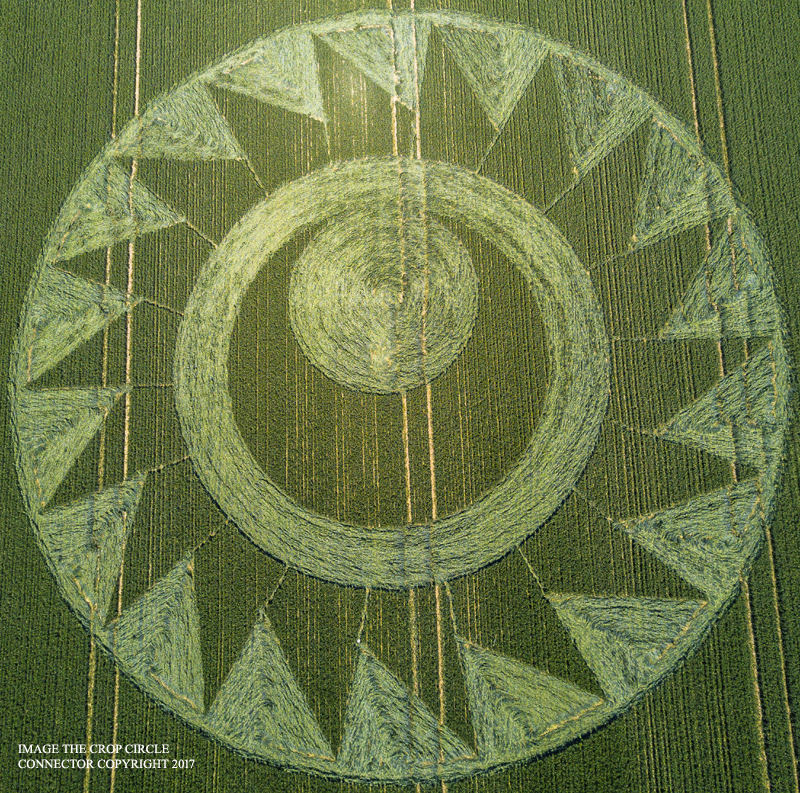 The Italian alternative magazine FENIX recently published a long (translated) interview with Andy Thomas about the current state of the crop circle phenomenon. In conversation with its editor, UFO investigator Adriano Forgione, Andy challenges the view that the circle mystery is no longer relevant and addresses some false assumptions, while raising many fascinating under-discussed areas. 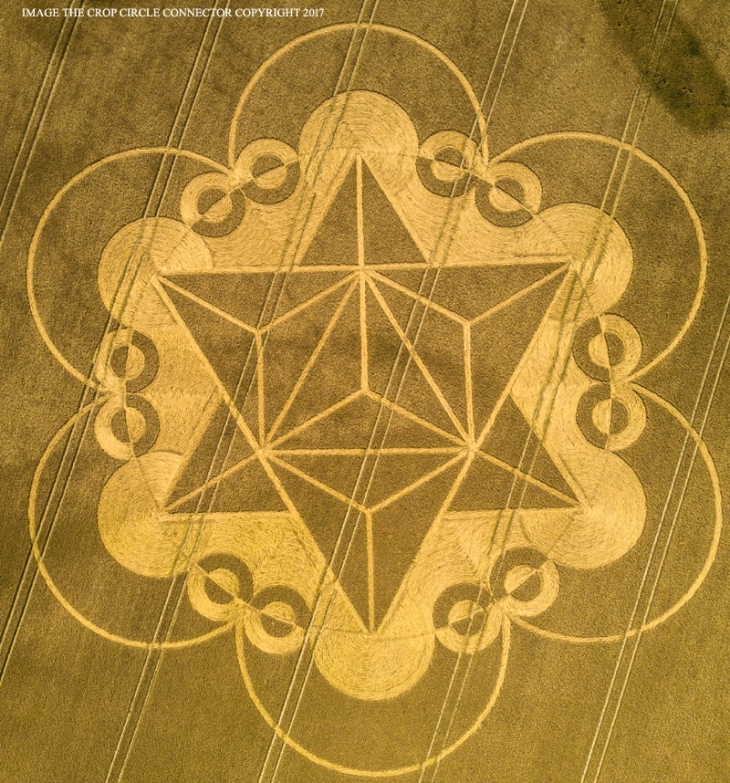 With the latest crop circle season having just begun, FENIX has given its permission for the interview (conducted in 2017) to be published here in full and in English, with a few additional edits. Adriano Forgione [pictured]: Andy, for our readers, how long have you been interested in issues related to the crop circles and how did you start to be interested in them? Andy Thomas [pictured]: This is my 26th [now 27th] year of crop circling, although my interests have widened out greatly since then. 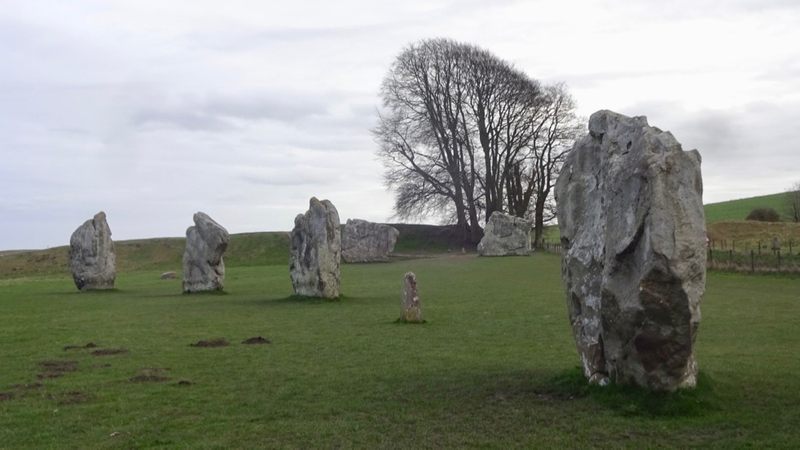 I first discovered the circles when holidaying in Wiltshire in 1991. I had been aware of the phenomenon but it wasn’t until I saw the patterns for myself that I realised the scale and number of them. I was amazed, and on my return home I was determined to find out more. 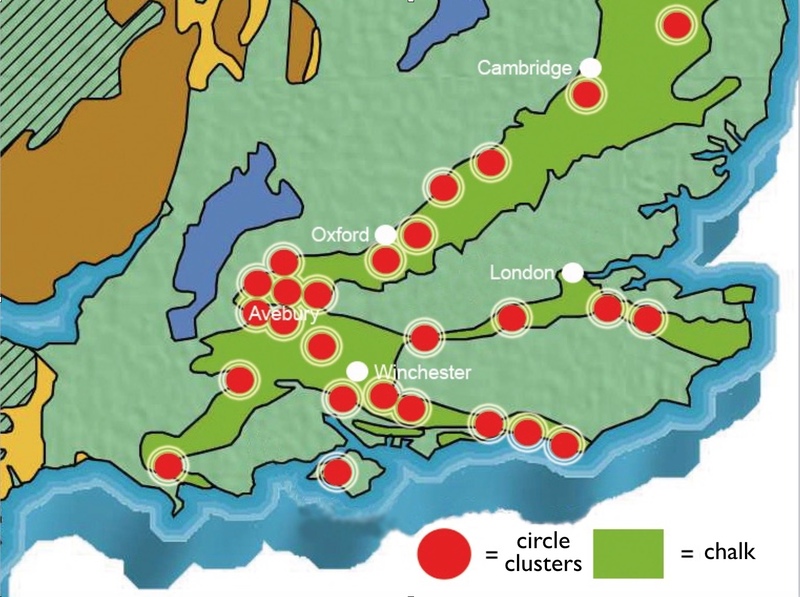 I discovered that other people in my part of south-east England – East and West Sussex – were researching them, so I made contact and in the autumn of 1991 we formed our own branch of the Centre for Crop Circle Studies (later Southern Circular Research). We soon became very successful and our little A5 magazine, the Sussex Circular, and later the website Swirled News [still available to view as an archive at www.swirlednews.com], began to be read around the world. We are called Changing Times today, and still hold regular and well-attended public lectures, now on all kinds of ‘alternative’ subjects, but also crop circles at least once a year. 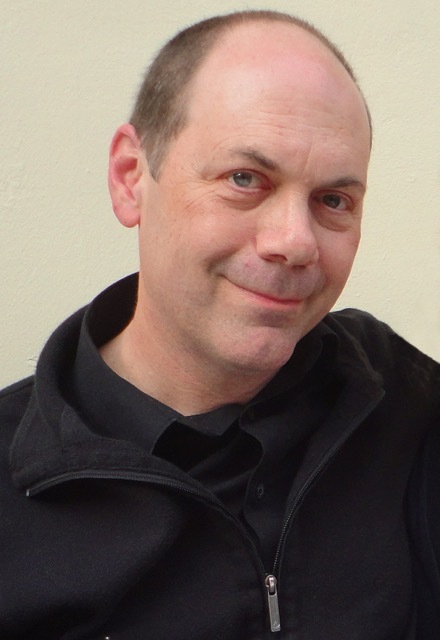 I have since written several books on the circles, including Vital Signs and An Introduction to Crop Circles, and continue to give lectures on them and other paranormal mysteries, but I always leave people free to make their own minds up about where they come from whilst still making the case that they are not all easily explained. My experience with crop circles alerted me to the fact that what the mainstream media puts out is not always the truth… if ever. Regardless of anyone’s opinion on the phenomenon, just from the clear way it was being provably misrepresented I realised that many other paranormal and conspiracy subjects must also be commonly lied about and so my interests also grew into other areas. Now I am very involved in ‘truthseeking’ topics and my books on conspiracies and cover-ups have been widely read. But it all began with the questioning inspired by the circle mystery. Adriano: What is the situation with the crop circle phenomenon in England today? Andy: Regardless of all the debunking and the lack of any real interest from the media (unless they can stir up a scandal about it), crop formations are still appearing here in reasonable numbers and with many inventive patterns [2017 formation pictured]. The research effort has, I think, lessened in intensity, and people seem to spend more time looking at photographs and videos of the circles rather than entering them and doing analytical surveys on the ground, but drone footage has certainly enhanced the ways in which they can be recorded and Internet forums have largely replaced pub discussions! However, new people do continue to be drawn to the circles and I am encouraged by the phenomenon’s sheer persistence in having kept going all this time. It still inspires observers and expands their thoughts and horizons, and there aren’t many things that do this so subtly and so successfully: that, to me, is good enough justification for their continued existence. Adriano: There has been a noticeable decrease in the number of formations appearing in England each year, and this is evident when we report the annual numbers today, often below one hundred, compared to over 150 or 200 that appeared in the late 1990s. How do you explain it? Andy: I think that one’s view on this comes down to what people believe the purpose of the circles is. There aren’t many fashions or fads that keep going at the same level forever, and perhaps whatever is behind the crop circles knows this. Having created a big fuss early on, maybe it is simply happy to keep the mystery going at a ‘background’ level to draw in some new people and not let it die, just quietly biding its time, perhaps, for a new phase at some point in the future. That, or the energetic impetus that surged forward in the 1990s has somehow subsided and now operates at a lower level – or there may be some other cycle at work that we don’t understand. In terms of the reducing numbers, a consideration to be aware of is that some of the formations that were counted in earlier years were very scrappy ones (probably man-made as a joke, or even weather lodging) that many people wouldn’t even look at or include in the listings today. Also some earlier researchers used to list the individual circles in a single pattern as separate formations, so number comparisons are not always reliable. This said, global numbers have certainly gone down in the last few years, although the UK has been fairly consistent recently and most of this year’s English formations  have been good, strong patterns on a level with several other seasons. Adriano: The phenomenon over the years seems to have also reduced its influence on public opinion. What is your explanation for the significant reduction in interest from the general public? Andy: The media is very much to blame for this. In previous decades the papers and TV would report them more regularly, and even though much of the coverage was sceptical, the circles were at least being shown to people as art, if nothing else. Now, either because it has been directly discouraged by authorities, or because it has simply got bored with saying the same things year after year, the media largely ignores the phenomenon, with just the occasional report (often covering a negative aspect – see my report on the 2017 circles). But also, there are now less direct research efforts being made, and most of the active groups which used to exist have been absorbed into the Internet and aren’t so visible. As a result, many people – even ones living in England where we still get so many patterns – seem to think that crop circles don’t appear anymore and are amazed when they hear that they are still going. Those who are aware of unexplained phenomena still continue to be interested, of course, but unless there is a massive new development in the crop fields, or an incredible discovery is made, it is unlikely that there will be huge interest of the kind we have seen in the past. But maybe the source behind the phenomenon is perfectly happy about this? For at the same time, the lack of public reaction could be seen as a sign of the success of the crop circles – the fact that they have integrated themselves into public life to the degree that most people can now ignore them is, in a way, a tribute to the fact that they have been neatly absorbed into normal life. In England, the crop circles are now seen just as an occasional part of our landscape and mythology, like stone circles and folk tales of Jesus visiting Glastonbury or the legends of King Arthur and the Grail; there somewhere in the background but not obtrusive, waiting for the day of their eventual return to full consciousness, at the right time. We have all got used to the circles, but this is in itself a rather interesting development, and could be seen as a positive. Adriano: In recent years, especially since 2012, it seems to me that the diminishing of the ‘metaphysical’ phenomenon has been accompanied by a greater activity of human circlemakers, with some formations not very regular and harmonic in their proportions, and in many cases simply copies of formations that appeared years earlier. What do you think about this? Andy: Whether one thinks the ‘metaphysical’ aspect has diminished or not very much depends on what one believes about the circles. I know that some people have argued that some other force began the phenomenon but has since backed away, now happy to let human artists do most of the work for them, knowing that it has much the same effect on observers anyway. In this view, maybe just one or two ‘real’ ones are made each year to help it along. However, this theory presupposes that there is increased evidence now that there are more man-made formations than there were decades ago – but where is that evidence? I don’t see anything new being made available in this regard. What we have today is a perception that more are man-made, but there is no actual proof of this. It may be the case, it may not be; in the absence of absolute knowledge, the arguments around this really just come down to what kind of patterns people like, or don’t, and that has always been very subjective. The view that there are ‘more man-made formations than there used to be’ is not in any way new. I came into the research world in the very months that the Doug and Dave hoax story [the first big debunking story which claimed that two elderly eccentrics had made all of the circles] was breaking in 1991, and in the wake of the paranoia that followed I can remember many people holding the same view – that the ‘real’ circlemakers had somehow diminished – even back then! In 1992, after Doug and Dave, every new formation that year and the next was viewed with suspicion by enthusiasts afraid to be fooled by the media, who had tricked a number of researchers. Geometric inconsistencies and odd proportions that had simply been ignored before (there are several to be seen in formations throughout the 1980s and 1990s) were suddenly seen as ‘proof’ of hoaxing (again, without any actual evidence), when they hadn’t been viewed that way before. Yet we do not know what kind of force we are dealing with here. Where has it ever been declared for certain that for a formation to be ‘real’ that it must be perfect in every way? [Diagram of much-loved 1990 Hampshire crop pictogram pictured.] It may be that imperfections are present in all kinds of formations and for all kinds of reasons. 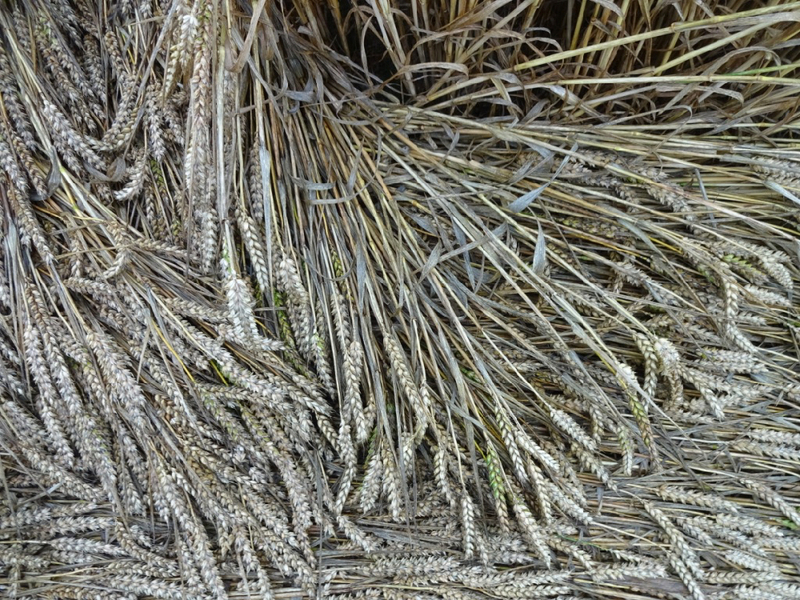 For instance, I have seen some fantastic weaves and inexplicably complex crop lays in patterns that have looked rather poor and un-geometric from the air. It may be that even the ‘real’ phenomenon has inaccurate days. So are the less impressive patterns necessarily man-made? We cannot say that for sure. The truth is that there are good and bad crop formations to be found in most years, as a glance through any listing archive will demonstrate – we just tend to edit out the bad ones from our memories and remember the great ones. Yes, there have been some years where there seem to have been many exceptionally striking and fantastic patterns, and perhaps there have been a few less of them in recent years, but it may be that a) again, either the impetus behind the phenomenon has lessened or changed for some reason, or b) it is simply that we now expect too much of the crop circles. The quality of recent designs, for example, has generally been quite consistent and nicely geometrical, but some long-time researchers still don’t like them as much as the ones they knew in their earlier and more enthusiastic years. Perhaps we have simply been spoilt by years of amazing designs which we got used to receiving; in the end, because nothing can impress us any further, we get overly-critical and therefore no new formation can live up to our unrealistic expectations. But had today’s patterns appeared back in 1990, I think they would have generally been regarded with amazement. Adriano: How do you explain what I feel is the disappearance of the beauty and sense of wonder that characterised the phenomenon until a few years ago? If the real phenomenon is still alive, what kind of expressive mode does it have today? Are there differences compared to ones from years ago and the ‘golden age’ of the 1990s and early 2000s? Andy: I don’t agree that the ‘beauty and sense of wonder’ has gone! New enthusiasts who come to this mystery without any knowledge of what has gone before are often just as inspired as people were years ago, and they go on the same journey of enquiry and fascination that many of us did before them. The only difference is that they are seeing it with fresh eyes whereas some long-time researchers have become rather jaded and indifferent, which is a shame. The crop circles still work their magic on many newcomers. I have always thought that the ‘golden age’ of crop circles which some researchers have spoken about for years never really existed. Even when I began in 1991 people were looking back to the 1980s with the same unfounded rose-tinted spectacles. The ‘golden age’ is a myth we tell ourselves when we find our modern faith in the ‘real’ phenomenon wavering, a comfort to ourselves when the early days of eager enthusiasm are fading and the deeper questions that always persist around the crop circles rise up again and overwhelm us, as sometimes they do. But I see this as all part of the unfolding process of consciousness-raising that the circles bring (even if they never intended to). The fact is that some formations are man-made, and some – in my opinion – are not, and it has been this way for a long time. Certain years may have better patterns than others, but everyone’s tastes are different in any case. 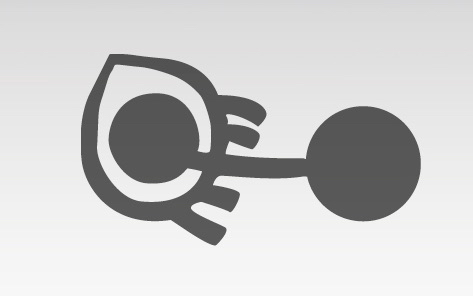 The big pictograms which amazed the world in 1990 [example pictured] and 1991, for instance, can look rather unimpressive to new eyes today compared to what we have had since, but they worked at the time for the people of the time, and that same relativity-effect is still true now. Adriano: You’ve worked hard to publicise this phenomenon by writing books and helping to organise the Glastonbury Symposium, which has exposed important information on the crop circles. Do you think that the deceptive behavior of the media and their disinformation about the phenomenon has resulted in diverting people from it or is this just the natural evolution of things? Andy: Both media lies and general disinterest have harmed interest in the circles, without question, but, again, I also believe that it is not possible to maintain the same level of fascination in anything when it continues for this long without a major breakthrough. So perhaps this withdrawal to a ‘background level’ was always anticipated by the creators of the crop circles – or they simply don’t care what people think. We do not know what the motivation is here, or whether many of the symbols are even being directed at us… The formations may be serving some other purpose entirely; some believe, for instance, that they work as ‘acupuncture points’ in the Earth’s energy grid, in which case what we think about them doesn’t even matter. If the phenomenon really wanted to restore its importance in the public mind, then I think it could and would surely do something very grand. The fact that, in the last decade or so, it has chosen not to, or even perhaps is currently unable to, suggests that it isn’t too worried about public opinion and therefore just gets on with what it is doing. Concern over general acceptance of the circles may be just something that we, as researchers, project onto the mystery because WE are fearful about people forgetting about it – or about us. However, we should probably put this concern aside and accept that the phenomenon seems to be happy doing what it does, so why should we worry on its behalf? Adriano: Do you think there has been a well-planned strategy from powerful occult groups that have worked to undermine and minimise the effect of the phenomenon? If so, who would be the main actors and the ‘forgers’ that might be hired by these groups? Andy: There have been various claims over the years that religious or occult groups may have tried to debunk the circle phenomenon because interest in it somehow threatens their belief systems. The US sceptic Jim Schnabel (who wrote the debunking book Round in Circles in 1993), for instance, once intimated that the Vatican might have been involved in circle hoaxing, although some people think he made this up to cause mischief. The fundamentalist Catholic group Opus Dei has certainly been implicated by some researchers, but it is just as likely that academics such as CSI (the Committee for Skeptical Inquiry, formerly CSICOP), keen to destroy interest in what they see as ‘dark age’ occult nonsense have played their part in debunking, perhaps by sponsoring man-made circles of their own to prove a point. There are probably many motivations as to why people make crop circles, some simply artistic, and others more cunning – although others still have suggested that religious people themselves may make the circles for the very purpose of bringing about the ‘signs and wonders’ promised in the Bible for the ‘end times’… But all these ideas and arguments are just theories, without any clear evidence. The truth is that we simply don’t know who makes what or even how many are man-made in the first place. Adriano: Some of the forgers speak of being inspired by a “higher consciousness” in making these works in the fields. Do you think that a form of ‘superior consciousness’ is involved in the phenomenon and why? Andy: The idea of a ‘superior consciousness’ is certainly at the heart of non-human theories for what might explain the crop circles. What kind of consciousness – extra-terrestrial, extra-dimensional or spiritual – is impossible to be sure of, of course, but I am certainly open to the idea that forces exist beyond the obvious ones we see on an everyday level. On what grounds do scientists think they can prove otherwise, when perhaps they just haven’t been looking in the right places yet? As for human circlemakers being guided by these forces to make the circles, which some of them have claimed, while this cannot be ruled out I have never quite understood how such a thing is any less amazing than the idea of a superior consciousness just making the circles by itself without the need to be guiding a man with a plank! The fact that some of the human circlemakers – who have previously seemed keen just to debunk people’s beliefs in higher forces and cause trouble – have in recent years begun to claim a metaphysical influence appears to contradict their own earlier position that only mundane causes explain the circles. Perhaps this is an interesting admission that they themselves know very well that there is something much stranger going on than just their own handiwork, and this is their way of now quietly admitting it. 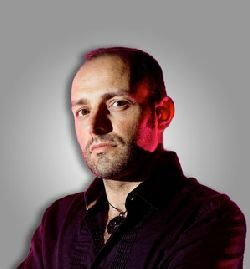 Adriano: As some governments have now declassified thousands of files on anomalous aerial phenomena (UFOs), has the same happened for crop circles? What kind of interest has the British government shown towards the phenomenon? Andy: It would be very odd if governments were NOT collecting data about crop circles in secret. If they even suspected that just a handful of formations were not man-made, then it would be in their interests, and the interests of a country’s national security, to try to find out more – without alerting public attention. By encouraging media debunking of the phenomenon, but quietly investigating and gathering real information at the same time, just as with UFOs, authorities ensure that any advantage they can gain from this quiet knowledge will be preserved for their own use without too many nosey people like us getting in their way. It is said that the British Ministry of Defence conducted an investigation in the late 1980s and concluded that there was a real phenomenon at work, and we know that the (then called) Ministry of Agriculture carried out soil tests on 19 different formations in 1995 (our Sussex team was involved in collecting some of the soil). This study detected a curious imbalance in the nitrate and nitrogen ratios, only in the soil beneath the crop circles, something which may explain the affected crop growth that sometimes occurs in a field in later seasons on the spot of a previous formation. Nothing more was said about this, however. When Martin Noakes, one of our team members, once wrote to the Ministry to find out what their position on crop circles actually was, all he received was a letter saying “we are aware of the phenomenon and are monitoring it”… But this was an interesting response nonetheless. I think it can be assumed, therefore, that governments do maintain an interest in strange phenomena, as they surely must, Certainly, the amount of military helicopters seen flying low over many of the crop formations demonstrates that if nothing else their pilots definitely have a curiosity about them. Some researchers believe these are direct attempts to record important details and/or to intimidate visitors. Adriano: I want to talk about the aspects of the phenomenon that many researchers consider as “not of human origin”. Do you also think there is a link between the balls of light and the appearance of this phenomenon? 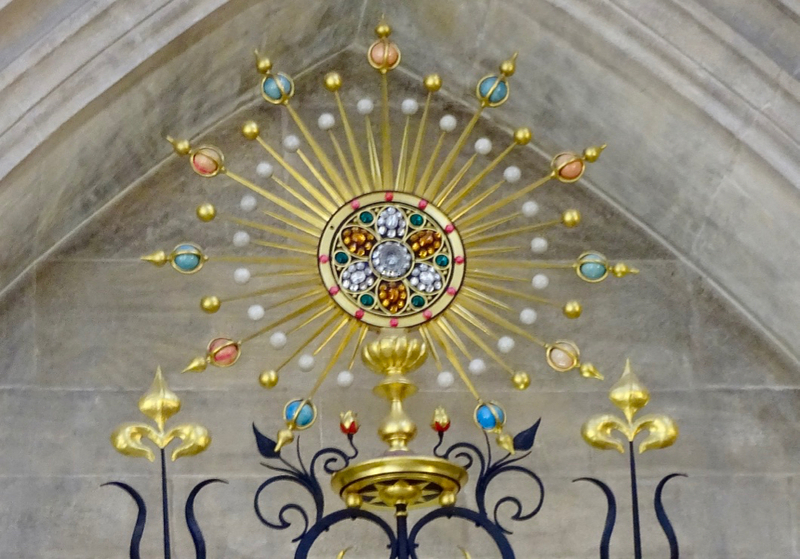 One human circlemaker claims that these lights would often appear in the night, and he sometimes had to kick them away from him and his team from the field during the creation of a fake. What do you think about this? Andy: There does appear to be a direct correlation between aerial phenomena and the crop circles. Even the famous ‘Mowing Devil’ pamphlet of 1678 [pictured], which many researchers believe describes historical crop circles, records the sky being “all of a flame” on the night they appeared. There is so much video evidence, and so many witnesses to these balls of light, even from sceptics as you say, that we must conclude that they are a definite part of this mystery. These lights do appear in other contexts, but there seems to be a direct connection to the crop formations, as they are so often seen together. Whether the lights are being drawn to the circles, or whether the circles generate the lights themselves is unclear, although the astrophysicist Eltjo Haselhoff, whose work on crop circles is some of the best research available, in my view, believes the lights themselves are part of the mechanism that generates the patterns, and he has produced some credible evidence which supports this view. We must be careful in simply accepting the word of known mischief-makers when they say they have had balls of light appear when making crop circles; this may simply be a way of trying to justify something that they know their efforts can never really explain. By saying they have interacted with the balls of light directly enough to “kick” them, it makes their activities look more important. Most observers never get close enough to physically interact with these lights, so I think these claims should be treated with caution. Perhaps lights have on very rare occasions appeared when man-made circles are being created, but there is no record of this ever happening when people have been filmed making them for television programmes, which has occurred often, so there is no known evidence to support such a claim. Adriano: All of us who are interested in crop circles have had at least one experience with the balls of light during our research in the fields. Do you also have personal encounters that you can share with our readers? Andy: Yes, indeed. 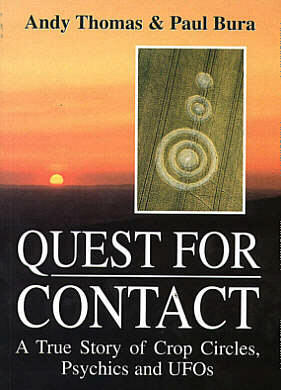 In the summer of 1993 (as recounted in the 1997 book Quest For Contact, which I co-wrote with Paul Bura) three of us Sussex researchers mounted a night watch at Knap Hill, the downs which overlook the famous crop circle fields of Alton Barnes in Wiltshire. We witnessed three pale luminescent balls of light appear out of nowhere just above the field and then fly away. The very next night, we reversed our view and watched from the level of the field itself and observed very strange and eerie large dark shapes flickering rapidly back and forth in front of Knap Hill. After a few minutes they faded away and we were never able to explain them. Later, in 1997, I was in a crop formation at Bishops Cannings in Wiltshire when a bright streak of light suddenly shot over the top of it, silently, about twenty feet or so above. I have met many people who have had similar experiences. Adriano: The phenomenon seems to use natural forces, exploiting them to generate a message or a form of interaction. 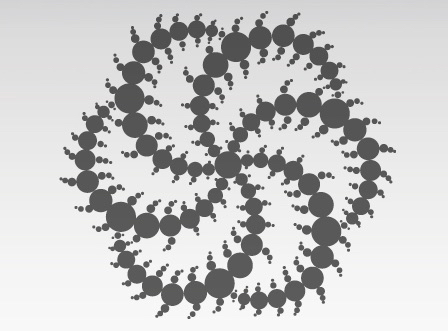 Can you tell us what your personal idea is of the mechanism that generates these formations? We know that water can generate natural electrical currents; this might be helping to trigger patterns at the surface through some chaos theory/fractal process. This said, some eye-witnesses have described a descending aerial force, sometimes seen as glowing funnels, which suggests that there is also an atmospheric component, so there might be an above-and-below effect occurring. From plant and soil analysis, the biophysicist W C Levengood believed that meteoritic dust was being drawn down from high in the ionosphere by the circle-making process, which supports this view. So it may be that some of the earlier scientific models, such as Dr Terence Meaden’s natural ‘plasma vortex’ theory, may have been at least partially correct. None of this explains what the trigger is behind some of the very complex formations showing astronomical diagrams and alien faces, etc., so it may well be that there is a component available in nature that can create simpler formations but that something else has learned to use this process to create more complexity. The early circles and rings, which seem to have been appearing for hundreds of years, may have been natural, therefore, and perhaps even some of the more sophisticated fractal patterns too, but maybe that mechanism has since been taken up and used by something more intelligent to create a new, more directed, version of the phenomenon for its own purposes? Adriano: I would like to ask you what is the most beautiful crop formation of all, and/or what is the most important one of recent years? Andy: Choosing a favourite formation is a very personal exercise. In terms of scale and beauty, the Milk Hill formation (near Alton Barnes in Wiltshire) of 2001 – 800 feet in diameter and with 409 circles in it – is probably a high-point for many observers [pictured], but in terms of cultural impact the first pictogram formations of 1990, which were splashed across the newspapers (and eventually on the front of the Led Zeppelin Remasters album) and brought mass awareness of the phenomenon were probably the most important. There have been so many fantastic designs in the decades since that it is almost impossible to highlight one above another, although the astronomical ‘galaxy’ formations of 1994 and the ‘solar system’ design of 1995 still stick in the mind, as does the ‘pi’ formation of 2008 (in which the mathematical principles of pi were expressed in a brand new way) and the very three-dimensional looking cross-shape of 2010. Adriano: Let’s talk about the 2002 Alien-and-Disk formation [near Winchester, Hampshire], in which a decoded binary code seemed to warn humanity of a “deception”. How do you feel about that message, especially in relation to your personal study of conspiracies? Andy: This is another formation that, in terms of its construction and incredible visual effects (when blurred, it looks very three-dimensional), is another key event in the phenomenon’s history [pictured – photo Copyright Lucy Pringle]. It has never been bettered in terms of ambition, and never claimed or fully reproduced by any human circlemaker, which says much. In a way, this marked a chapter-stop for the crop circles, in terms of being the last formation to date to be truly innovative – and it is the only one ever to include a full message in it that could actually be translated directly into words (via ASCII coding). Although many people have argued about the message’s significance, as the years have gone by and public deceptions seem to be revealed every month now it definitely seems to take on more meaning. “Beware the bearers of FALSE gifts & their BROKEN PROMISES” would seem to be very good advice, and the declaration that “we oppose DECEPTION” feels very apt at the moment. My more recent work in trying to expose global deceptions and get conversations going about conspiracies – not taken seriously enough by a mainstream media that may well be implicated in creating some of those deceptions – has led me to ponder the message in this 2002 formation on many occasions. Happily, it does offer hope too, by saying “there is GOOD out there”. We could certainly do with more of that good to come into the world today, to help combat the clear suppression of knowledge and ever-heavier control of information from authorities that would seem to be happier to keep the public ignorant of reality and have it under constant mass surveillance. 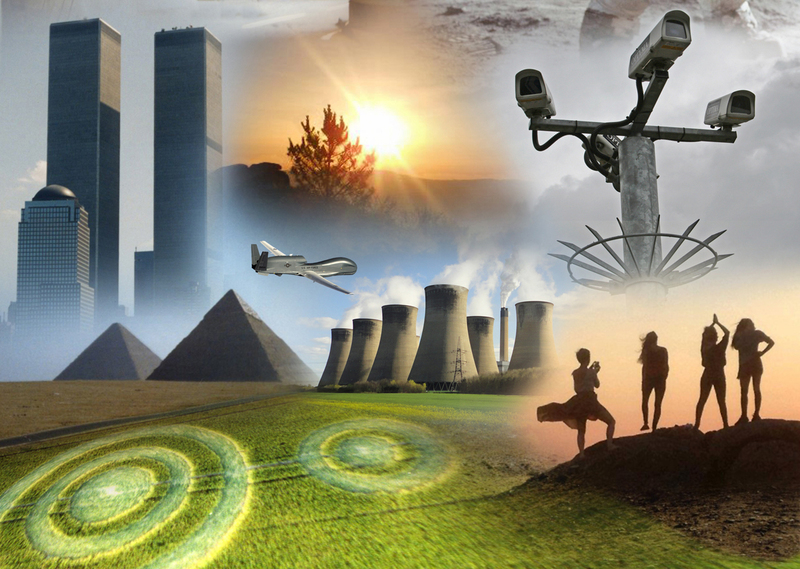 My talks and the books The Truth Agenda and Conspiracies have been my small efforts to alert people to what is going on, to help them do something towards waking up at least a few more spirits to fight for truth and against mass-deception. Interestingly, the last sentence of the message says “Conduit CLOSING”, and indeed this formation did seem to be a turning-point for the phenomenon in terms of people’s declining awareness of it in the years since and the ambition of the patterns themselves, which touches on some of the things we talked about earlier in this interview. I think there have been many impressive crop circles in the years since, but it may well be that 2002 was the moment that the phenomenon entered the aforementioned ‘background level’ stage – and this is something which we should perhaps not fight, but accept as a natural part of its evolution. If the ‘conduit’ opens once again, then presumably we will see a change in the phenomenon that will make it clear that this has happened. Adriano: I have always supported the idea that the phenomenon, given the type of symbolism involved, had the goal, though not the only one of course, to awaken man to a superior reality that, though invisible, inherently belongs to him; an invisible realm of consciousness from which everything comes and which has taken us to this quaternary reality. What do you think about this? What are your ideas about the sources of the phenomenon? Andy: The circles ARE waking people up to new thinking and a developed consciousness regardless of whether that was the intention or not! This is one of the joys of the crop circle mystery. People can argue for their own theories and discuss forever what might be behind the phenomenon, but the result of the deep journey of enquiry that so many minds have made because of it remains the same no matter who is right. The exact nature of what may make the non-human crop circles remains elusive, because there is no absolute way of knowing the truth at this stage, but I am content that they have had a powerful effect regardless. Perhaps the absence of a clear answer and the deliberate obscurity of most of the designs is the very method by which we are awakened to that ‘superior reality’. If it was obvious where the circles came from, we would perhaps take them for granted and not think enough about them or their meaning. The fact that we are left constantly puzzled and have to reach within ourselves for at least potential answers, through self-examination and a widening picture of what we believe about the universe around us, is the very aspect that creates a growth of consciousness. Maybe this is all that was ever intended; the ultimate answers, which may or may not one day arrive, may be far less important than the actual effect the crop formations have had on many lives. The circles don’t speak to all people, and clearly the phenomenon can’t, or simply doesn’t try to, reach out to everybody (or presumably it would try harder), but it may be content with reaching just enough souls that the influence that it has quietly ripples out across the collective mind and does what it needs to do. Ultimately, I suspect that the sources of the phenomenon are multiple and there are probably several overlaps between many of the theories which have been put forward, as we have discussed here. The facts are that natural forces seem to be involved, but also a level of consciousness; some designs display plain intelligence, while others follow natural geometry. The circles seem to be psychically interactive, while light phenomena is drawn to or generated by them, and eye-witnesses describe other aerial effects while the patterns appear within seconds in front of their eyes. And some formations are man-made. These are the basic observations that can be made about the phenomenon, but beyond that no one path of enquiry yet seems to lead to all the answers, so all I can do is try to stand in the middle and be open to the many ideas and try to share knowledge of all this with as many new people as I can in the hope that the equation gradually works itself out through the wider journey of collective learning. Adriano: Your interests are vast and today you have a website called The Truth Agenda. What arguments do you specifically address in your work and what is the ultimate goal of your research? Andy: I am concerned that more people are given the chance to see the ‘bigger picture’ of all the many wonderful but also challenging mysteries going on in the world today, ones that the mainstream media largely ignores. I believe too that the public needs to become rapidly more aware of some of the worrying restrictions on freedom of speech and the availability of truth that world authorities are putting into place. The Internet offered a haven of available information for a while, but that is now under threat, as – under the very convenient excuse of preventing ‘fake news’ and ‘extremism’ – certain important stories and websites are now vanishing from search engines or being buried where they are hard to find, and YouTube and Facebook is starting to censor or delete videos which question the status quo too much. We need to fight for the freedom of ‘alternative’ information while we can and show that, far from being alternative, it is in fact as valid as any other kind of news. My books and my many lectures to all kinds of groups and organisations attempt to present the big picture of all this in as an accessible and balanced way as possible, to help spread more awareness of these issues without overloading people. Sometimes there is so much information out there that it is hard for people to know where to start when trying to understand it all, so I try to give a clear view of truth and mysteries that will help them move forward and be effective in transforming our understanding of these potentially very important areas. My website www.truthagenda.org has news on my current activities and details of my work and books over the years, and there are several videos available to watch there, exploring many of these issues. I appreciate your interest in my work and thank you, Adriano, for your own important work over the years.